Introduction to the Practice of Statistics - Heimkaup.is – Matur, raftæki, snyrtivörur, bækur, íþróttavörur, leikföng og sjónvörp. Allt sent heim samdægurs. David Moore and William Notz’s Statistics: Concepts and Controversies introduces students to statistical ideas. This popular textbook shows them how those ideas can then be used to shed new light on the statistical claims they see every day. The ultimate goal is to equip students with solid statistical reasoning skills that will help them understand the impact of statistics on all aspects of our lives and society. The new edition builds on its signature combination of engaging cases, real-life examples and exercises, helpful pedagogy, rich full-color design, and innovative media learning tools, all significantly updated. 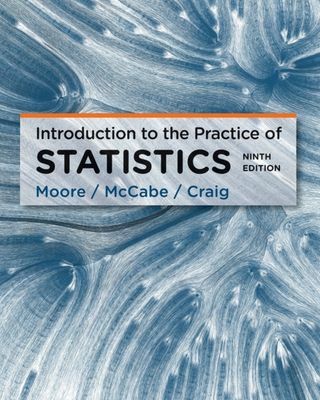 Part of the best-selling Moore family of statistics books, this offers a lively and engaging introduction to statistics to students unfamiliar with the subject. This textbook is available on LaunchPad, which combines an interactive ebook with multimedia content and assessment tools, including LearningCurve adaptive quizzing. To Students: What Is Statistics?